Healthcare Services You Can Count On! 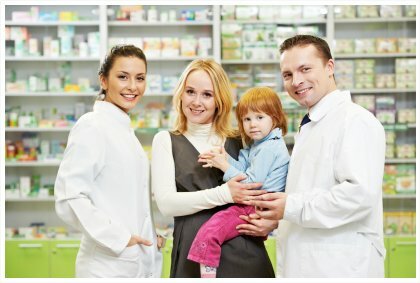 When you are looking for top-notch clinic and pharmacy services that you can rely on, you have come to the right place! We are one of Guelph’s pioneers in quality, convenient and affordable healthcare products and services. We strive to provide the Guelph and Wellington county with excellent medical care and pharmaceutical services that are not only affordable but also reliable and at your convenience. We are here for you! Arkell Walk-In Clinic & Arkell Pharmasave in Guelph, Ontario strives to provide superior health services, products, and consultations – all at your convenience! We make sure that when you walk in, you can find all the products and appropriate health advice you need without any problems! We want to make sure both your clinic and pharmacy experience is not only easy and hassle free, but that you can also get high-quality medication, services, and products at an affordable price that you will love! Our medical clinic is here to ensure that you can maintain your health and get the care you need to live a better life today! Whether you are looking for a doctor or counseling on medication or treatments, you have come to the right place. We provide a one stop shop for all your medical needs. Getting the services and the help you need with your health does not have to be a struggle! We are here to help make your life easy.